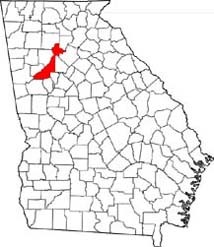  Contact Researchers of Atlanta, Georgia Surnames!! For research assistance, please consider FrankBaumer@comcast.net and Heartland FamilyHistory Research.  Our Business Licenses  © 2008 Frank Baumer. All rights reserved. Heartland FamilyHistory Research, owned by genealogist Frank Baumer of Paducah, Kentucky, is skillful with genealogical records. Mr. Baumer attended the University of Kentucky from 1971-1976, and he received his Bachelor of Science degree from there in 1979. He majored in Mathematics. We can try to help you to detail your family tree. We can try to find the dates and places of births, marriages, and deaths in your family history that have eluded you. We can supplement your understanding of your family history by searching for information on helpful internet sites and in other sources. We provide logged searches of FamilySearch.org and we provide logged searches of Ancestry.com. We own many genealogy books and CDs with the capability to search hundreds of millions of names for people who are searching for their ancestors. 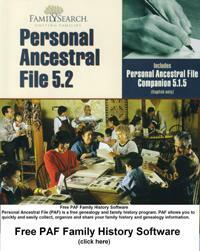 We will record your family history that we research with the Personal Ancestral File (PAF) computer program. We document what we find for you. If desired, we write and print our research for you. Click the picture below to download your FREE copy of the PAF Family History program so that you and Heartland FamilyHistory Research can review PAF and gedcom files. For reasonable requests, Heartland FamilyHistory Research will detail your family tree, invoiced by PayPal at the rate of $10.00 per each 30 minutes effort. This fee covers the cost of our research for you, even though we may not find the information that you seek. However, we will provide a detailed log of our research that can be valuable to you or someone else that you hire. Photocopies are 20 cents per page. Research requests that require extended time or travel will be considered. First, please contact Heartland FamilyHistory Research by e-mailing your requests and questions to FrankBaumer@comcast.net. We will answer with our recommendations, and then determine if we can provide the services that you have requested. Heartland FamilyHistory Research is owned by genealogist Frank Baumer. He invites you to examine two records of his integrity, which are his extensive eBay feedback, and his extensive Deseret Books Auctions feedback.